If you ever wanted to know what it was like to be a sniper - but had just a few concerns about the legal implications - then Clear Vision 3 will likely fulfill your curiosity. 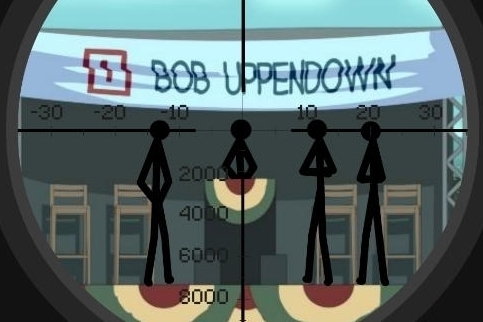 Using nondescript stickmen in place of real citizens, the game gives you the opportunity to complete a variety of sniping missions, while overcoming occasional challenges such as moving targets, and wind and distance effects. As basic as Clear Vision 3's design is, it's actually rather good fun. The stick figures show a distinct amount of personality, and do a surprisingly good job of providing some good backstory to the shooting missions. In addition, the gameplay operates really smoothly, so you'll never have to worry about getting the jitters with your shots. Last but not least, the new gear you can purchase to improve your performance - including new scopes, grips and even guns - really add to the replay value. Clear Vision 3's freemium model is a bit strained. You use up a handful of "charges" over the course of each mission, and considering you only start with 20, you'll either need to wait for a refill or pay outright for one. It feels like a bit of a cheap move, especially if you're on a roll with your sniping skills. It also takes a while to get used to adjusting for distance, and sometimes your targeted shots miss entirely. Thankfully, you can always go back and try again for better results. 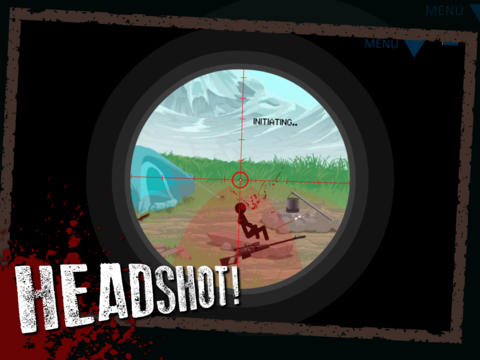 Silent Scope it ain't, but Clear Vision 3 is an accomplished sniping action game that provides a satisfying does of gunplay, provided you can accept its freemium settings. It certainly doesn't hurt to give it a try.